Hey, friends! I have an announcement to make: today will be my last post at Frugal Rules. I’ve thoroughly enjoyed my time here as a staff writer on the Frugal Rules Dream Team, as us staff writers lovingly call it, but my content writing work has taken off to a level that leaves me no choice but to give up my most all of my beloved staff writing work. This is a blessing in disguise, of course, as it means more money is coming in to help us pay off debt, but I will truly miss working on the Dream Team. 🙂 Frugal Rules was one of the first personal finance blogs I ever read. Truth be told, I’m not (or at least, I didn’t used to be) much of a technology person, and I’m okay with that. I never really read blogs or understood the obsession people seemed to have with blogs. I didn’t understand how people could spend hours at a time surfing the web, reading blog after blog. Then, when we finally realized how deep our debt was and that we needed to get out, I knew we needed help because neither of us understood what we had gotten into, or how to get out. After some quick Google searches on how to get out of debt, I was introduced to the world of personal finance blogs. And from there, I’d read the comments and learn of other personal finance blogs. Soon I was hooked: I’d found a whole world of people obsessed with and educated on the management of money – something we needed desperately to know about. 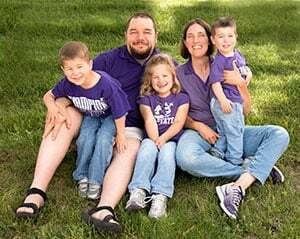 And for the last 2+ years, I’ve been one of the “obsessed.” Today I’m sharing seven things I love about personal finance blogs that have changed my family’s life. If you’re looking to learn about how to manage money, get out of debt or build wealth, you certainly don’t need to go and buy a dozen books to get the job done. Personal finance blogs offer a wealth of information at your fingertips, and there are thousands of personal finance blogs. Some reports estimate the number of personal finance blogs at nearly 20,000. Is that too many? Not in my opinion. The more free education I can get about money, the better. This is why I don’t believe there are too many personal finance blogs out there. Each blogger brings a different perspective, personality and vision to the world of personal finance blogs. Some you’ll like, and some you won’t, and that’s okay. If we all loved the same things, wouldn’t life be boring? You can’t make a square peg fit into a round hole. The way I learn the most about how to manage money is likely different than the way you learn the most about money management. This is why some people like some personal finance blogs, and some like others. We each do best when we learn about money in a way that most motivates us to get moving on our own personal finance journey. I’ve not met a person yet who says “I learned all I needed to know about personal finance in school.” Some people have educated parents who taught them well about money, but most adults these days admit that neither their parents nor their schools taught them very much about managing money. This is part of the reason why today’s adults have an average credit card balance of $15,000+ and little-to-no savings. Personal finance blogs fill a huge education gap that desperately needs to be filled. They give people the gift of financial literacy. Not all people like talking about/learning about money. In my real life, I have exactly one person that gives a hoot about personal finance. The rest, if I start explaining the wonders of compound interest or the dangers of debt in society have that “Oh dear God, here she goes again” look on their faces. 😉 Personal finance blogs create an atmosphere where those who sincerely want to learn how to do money better can learn, teach, support and encourage each other. At one point in our debt payoff journey, about a year ago, I was certain that I knew everything there was to know about personal finance. I’d gotten bored of reading PF blogs, and felt like I wasn’t learning anything new. This post opened my eyes up, to the fact that I certainly wasn’t done learning yet, and that nobody really ever is. In their own small way, personal finance blogs make a difference in the world. One step, one person at a time, they give people valuable info that they need in order to have a more stable financial life. Of course, bloggers can’t force people to take advantage of that wonderful education, but they can put it out there for the world to see, and I for one am glad that so many bloggers have taken a chance on sharing their knowledge with the world. If I hadn’t wandered into this sea of personal finance knowledge, I’m certain we’d still be drowning in debt. Which money lesson have you’ve learned that has brought the most value to your life? Have you ever thought of starting a blog? What are some other benefits to Personal Finance blogs I didn’t cover? I’ve learned more about investing from personal finance blogs. That is a topic that was overwhelming to me and I wasn’t inclined to pick up a book and commit all that time to reading about it. But reading about investing in bits and pieces, from different perspectives, one topic at a time on personal finance blogs has been very helpful. 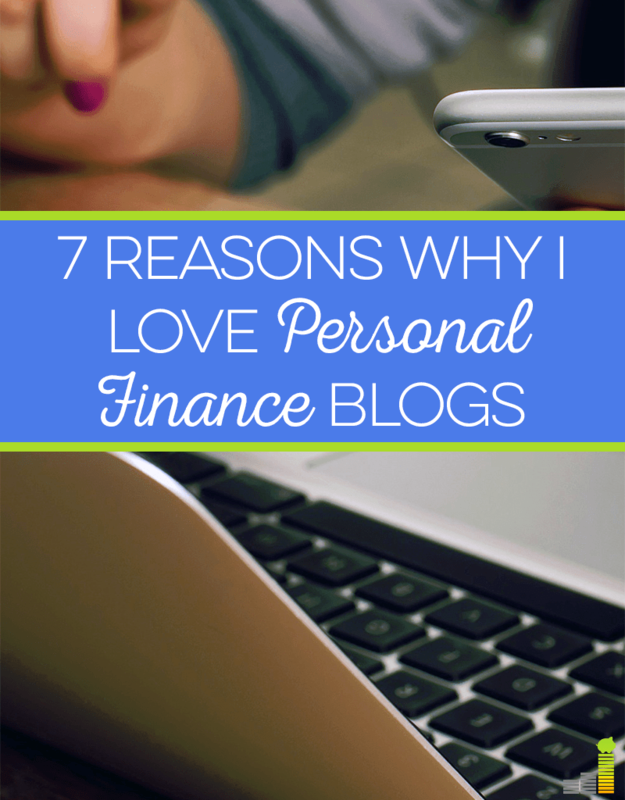 I recently started my own personal finance blog and have since delved into the PF blog world. I agree with your reasons and would add that it’s way more accessible than having to choose a boring-sounding book on a financial topic! Glad to hear you’ve learned so much about investing through PF blogs, Kalie! And very glad to hear you’ve started your own blog too: there can never be too many. Everyone has a different take on things. From the perspective of a blogger, one of my favorite parts is that the blog holds me accountable and challenges me to remain creatively responsible in my debt payoff game. I feel connected to #6 on your list too–there is always room to grow and learn more. I agree, Brittany! I love the accountability aspect – it’s a huge help to those with financial goals. PF Blogs are were I first found my information on how to get out of debt. They were the springboard for my family to get control our our money. They continue to help keep me motivated each and every day! Same here, Brian! Reading stories about real life people who’d gotten out of debt and are building wealth was/is so helpful for us too. You will be missed here, Laurie! Thanks, Robin! Yes, it was a tough decision as I’m very fond of John and Nicole and of their readers too, of course. 🙂 So glad you came onto the scene too, Robin – you’ve got some terrific stuff over there! Good luck on everything going on for you Laurie!! I agree PF blogging is the best. I really love people’s different points of views or having me look at things from a new perspective. I learn about myself by reading other people’s journeys. Plus everyone is so nice! I hate that you won’t be a part of the Frugal Rules team anymore, but I love that it’s because you are growing your personal business. 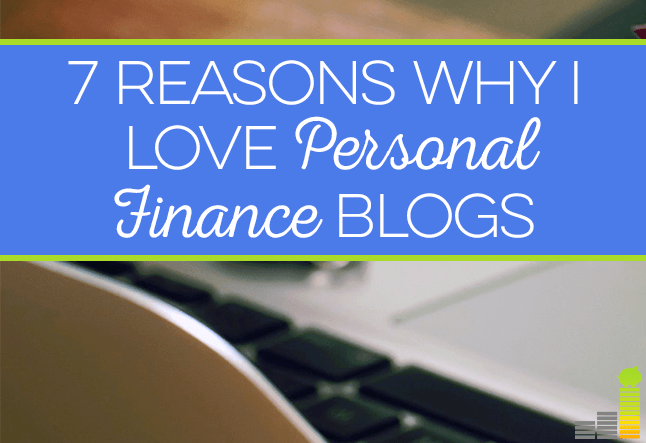 I love personal finance blogs for many reasons, but the biggest reason is that I learn something from them every single day that I apply not only to my own life, but to my client’s lives as well. In the past year and a half of blogging, I have saved money and managed money better just from being a part of this awesome community. Good luck for your career! Your blog together with Frugal Rules was one of the first PF blogs I read ( I really do not remember which one was the first one I discovered ). You made me understand that we all can learn to manage our money in a wise way and I am thankful for that. This is one of the things that has motivated me to start a blog! Thank you so much for your kind words, Sabrina, and thank you for reading both here and at The Frugal Farmer! 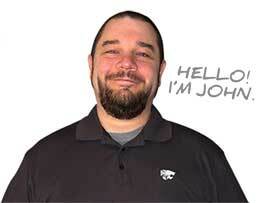 We enjoy your optimistic voice both on our comments and on your blog. Keep up the great work! The dream team will miss you LOTS!!!! Hugs!